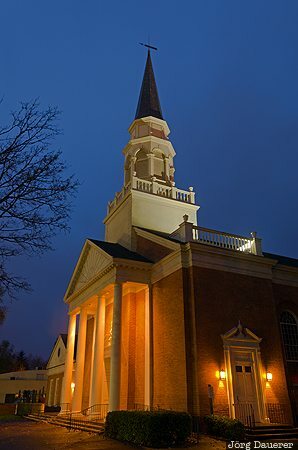 The flood-lit First Presbyterian Church in downtown Salem at the blue hour before sunrise. Salem is the capital of Oregon in the north west of the United States. This photo was taken in the morning of a rainy day in November of 2012. This photo was taken with a digital camera.